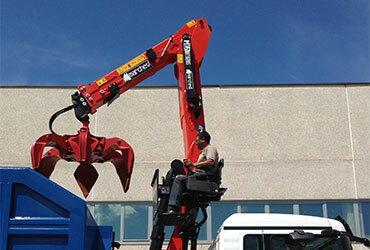 Why should you choose a Marchesi loader crane? 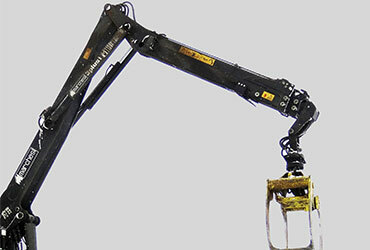 Here you have a list of good reasons to choose a Marchesi forestry cranes or a Marchesi cranes for recycling and scrap. 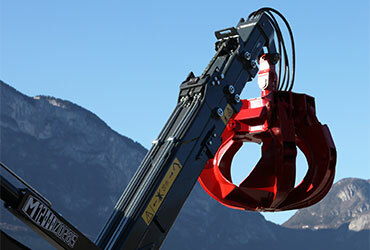 The excellent hook clearance is one of the strengths of Marchesi cranes. 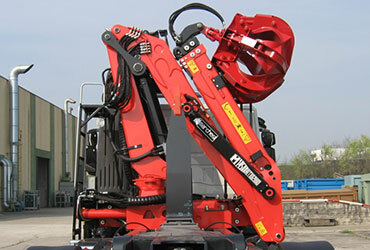 Loading very high and close to the column helps the operator to maximize the payload. Short first boom above the chassis allows an easy installation especially on the new truck equipped with several additional tanks. 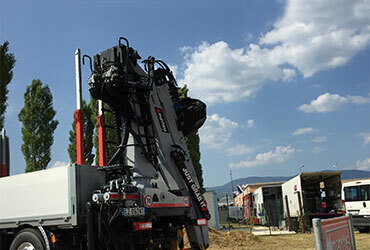 Available in numerous foldable Marchesi crane. 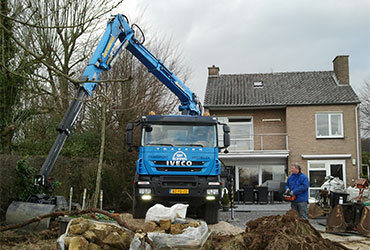 Our design grants the possibility to fold the crane together with its attachment even with a large polyp grapple while remaining in the width of 2.55m. Our chain system is designed for the best speed with a minimal heating increase, thus keeping a great efficiency. Constant and increased oil flow grants the best performances. The presence of the three point balancing bridge (pendulum beam) on all our cranes bigger than 10 ton/meters allows a better force distribution on the truck chassis, for an increased durability of the truck&crane working unit. Our linkage system on main boom, available in our foldable cranes up to 10 ton/meters, allows a constant loading speed in the whole working area. 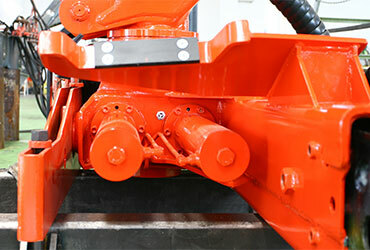 All our cranes above 11 ton/ meters size are standard equipped with double rack and pinion system. It grants higher torque and extreme reliability even on slopes. Highest precision and comfort are the main needs of the customers who choose the radio remote control. We work only with the best suppliers to offer you a great quality product. Our cabins come from Scandinavia and are aluminium made, a perfect combination of lightness and robustness. 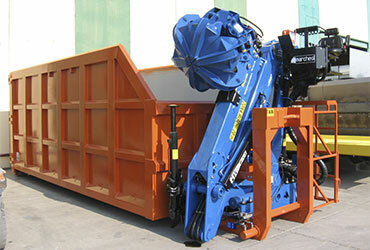 We have various models designed for container mounting. 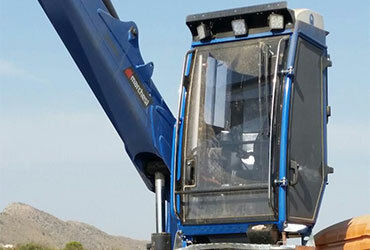 If necessary, the crane can be dismounted quickly and easily from the truck to lighten the vehicle and gain more payload. Our comfortable top seats are available both behind and back column. On request we can provide top seat with hydraulic lift and descent. The control configuration with top seat is available in various possibilities: linear levers, levers and pedals, servohydraulic controls. 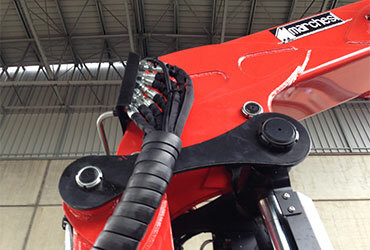 The link to crane attachment and rotator is protected inside the boom. 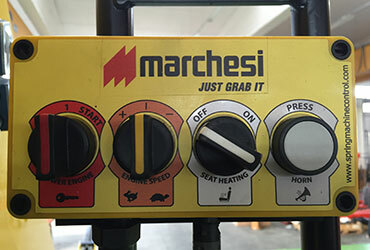 In only one box we combine comfortable driving things such as the truck engine control (on/off and RPM +/-) and the horn. This package includes also the heated seat that can be controlled by the same box. 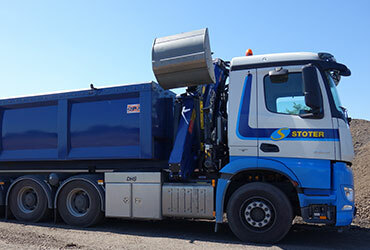 This dynamic weighing system is precise and affordable with a tolerance between +/-1% and +/-2% on the payload. 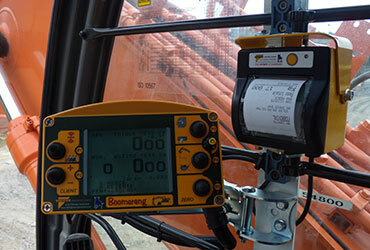 The system allows the weighing while the crane is moving, without suffering from stress and daily shocks.